Most acne products only address one or two of these factors. 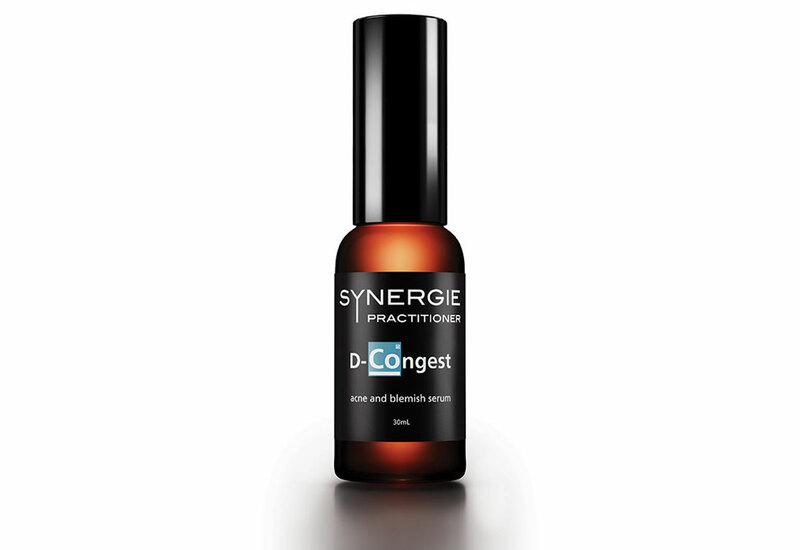 Synergie Practitioner D-congest is able to address all contributing factors in one formulation and reduce the appearance of acne. Key Ingredients: Affipore – is a plant based ingredient that directly acts on sebocyte (oil producing) stem cells to reduce excess oil and enlarged pores. Affipore is clinically proven to reduce pore diameter, pore volume and oil secretion. Mandelic acid – an AHA which effectively addresses a range of conditions including hyperpigmentation, acne and wrinkles. Mandelic acid acts as both a mild exfoliant and as an antibacterial agent and is well tolerated by nearly all skin types. 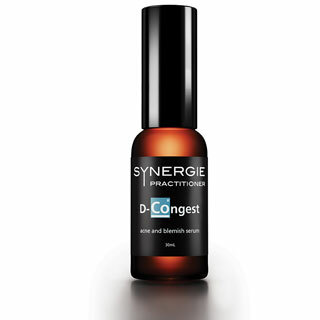 Its antibacterial and sebum regulating properties prove helpful in the treatment of acne. Potassium Azeloyl Diglycinate – is a regulator of oil that provides hydration and reduces inflammation that can cause pigmented scars. Lactic acid – a natural and biocompatible AHA for effective removal of dead skin cells that is responsible for skin congestion. It also improves skin hydration levels. Manuka essential oil – derived from the Manuka tree, Manuka oil has been used for centuries in Maori tribes for wound healing. It is up to 33 times more potent than tea tree oil as an antibacterial agent, reducing the P. acnes bacteria associated with acne. Application: Apply sparingly to affected areas. May be used in the morning and evening prior to moisturising. If using in the morning, follow with UberZinc for broad spectrum sun protection.